Drive with Hertz for a sustainable future! "3.7 million carbon neutral kms with Hertz Car Hire in order to stop climate change"
Hertz Car Hire has recognized its responsibility in climate change, and decided to offset the negative environmental effects caused by the operation of its cars with positive actions. In cooperation with Carbon Online Kft., Hertz Car Hire is supporting a fuel exchange project, where the energy, required for cement production, is produced from rice husks, wood processing residues and other agricultural wastes, instead of fossile fuel. The Siam Cement Biomass program that was implemented in Thailand holds numerous environmental, social and economic benefits in addition to reducing carbon dioxide emission. The program would not have been possible without business support. With the contribution of Hertz Car Hire, 768 tons of CO2e emission is saved each year, which covers the 3.756.700 km that is covered by Hertz's cars. Hertz Car Hire is proudly trying to achieve carbon neutral activity as a member of the iCC Club. It assesses its emissions, reduces them and offsets a part of its remaining emissions by supporting green farms, in order to achieve zero emissions and to contribute to the sustainability of life on Earth. 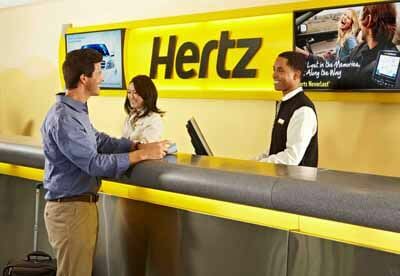 You are acting against climate change by using Hertz's services.